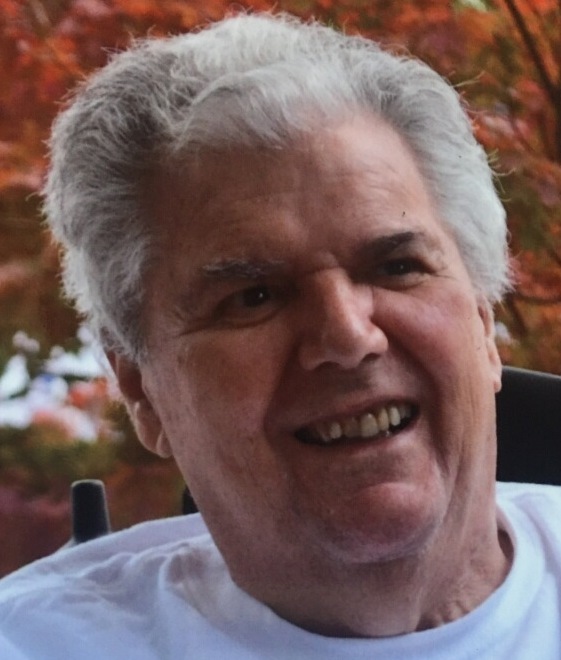 Obituary for Michael C. Muscatello | Meek & Dalla Valle Funeral Home, Inc.
Muscatello, Michael C., with his loving family by his side passed from this earth, Friday February 8, 2019, twenty- two years after a diagnosis of ALS. In death, as in life ‘Mike’ will be remembered for waging an incredible battle against this devastating disease. Along with his extraordinary family and a network of friends, an ‘army’ was formed to support him and honor his fight as he battled ALS. They were a fundamental part of a network that stood with him, providing a quiet dignity and grace, allowing him to live life to the fullest. They gave him strength, support and love. They were his reason to live. Born October 12, 1937 in Windber, PA, son of Joseph and Amelia (Maffeo) Muscatello. Preceded in death by parents, infant daughter Jayne, brothers Anthony (Dineo) and companion Joan, Frank and wife Sue and Joseph (Gunner) and brothers-in-law Mike Sotosky and George Semivan. Survived by loving wife of 58 years Marilyn Joyce (Fabian) Muscatello, daughters Janet, wife of Sandro Marchegiani, Windber and Anita wife of Randi Barra, Oneonta, NY. Grandchildren Stephen & Sarah Marchegiani, Logan, Mitchel and Karly Barra. Siblings JoAnn Sotosky of Windber, Mary Jane Semivan of Medina, Ohio, Millie (George) Pierre, Windber, Bill (Dora) Muscatello of Florida and John Muscatello of Windber and numerous nieces, nephews and cousins. Member of St. Anthony of Padua Catholic Church in Windber. Army Veteran. 1956 graduate of Windber Area High School. Owner/operator of Michael’s Hair Fashions for 20 years. National sales rep for Lisap. Former officer of Sons of Italy. Michael was a longtime lover of trains. He enjoyed working with everyone outside on the horse farm. Avid Steeler fan and loved nothing more than spending time with his family and friends, especially his grandchildren. He treated everyone like they were members of his family. He will be remembered for his infectious smile. The family will receive friends from 4 to 8 pm Friday at Meek & Dalla Valle Funeral Home, Windber, PA. Funeral Mass will be celebrated at 10:30 am Saturday at St. Anthony of Padua Catholic Church. Father Rod Soha, TOR, pastor. Committal at the church cemetery. In lieu of flowers memorial donations may be made to ALS Association of Western PA Chapter, 416 Lincoln Ave., Pittsburgh, PA 15209 in memory of Michael.